The Synodal Commission for Doctrine, like all the other commissions of the Syro-Malabar synod, understands itself as an agent in the fulfilment of the mission of the Church in the concrete context of the ecclesial life and experiences of our Church. As an organ of the Syro-Malabar Synod of Bishops, the Doctrinal Commission is entrusted with the task of mediation as well at different levels: within the Syro-Malabar Church in India and also to liaise between the Congregation for the Doctrine of Faith and the body of theologians. Given the nature of the responsibility entrusted to the Doctrinal Office of the Synod, especially with respect to the areas of doctrinal conflicts and theological confrontation, its principal concerns and activities are extremely confidential in nature. Over the years, the Commission has evolved a methodology of dealing with doctrinal conflicts, with a procedure which involves both the members of the Commission and the Consulters. The Office for Doctrine functions as an agent and instrument in the fulfillment of the mission of the Syro Malabar Church in the concrete context of the ecclesial life and the realities and experiences of the society. More specially, it will contribute to the evangelizing mission of the Church by setting forth in ever greater clarity the message of the Gospel and promoting relevant and contextual reflection on Christian faith in fidelity to the teachings of the Church and its living tradition. The Office for Doctrine wants to encourage and promote fresh, culturally-rooted and pastorally relevant theological reflections. Moreover, availing itself of the rich theological reflections taking place in the Church at various levels, the Office will endeavours to serve the the Synodal Fathers by helping to constantly renew their theological vision, which is indispensable today to arrive at enlightened decisions and to act in a pastorally meaningful way. As an organ of the Church, the Office for Doctrine understands its task as one of mediation as well. It will seek to do a work of mediation at various levels- between the dioceses and the theological work that is being done at various levels in the Church (Church communities, institutes of theological education, etc) and between the Syro Malabar Church and Rome, especially the Congregation for Doctrine of Faith. .
To facilitate the process of developing theology in the Indian context, suited to the pastoral needs of the Church. To foster relationship with and between theological faculties, institutes and departments of the Syro Malabar Church. To offer theological clarifications, look after the soundness of doctrine and render service of mediation in doctrinal conflicts and controversies. To establish an organic collaboration with Congregation of the Doctrine of Faith ( CDF ). Promotion of reflection on emerging challenges in Church and society. Commission also prepares documents of theological nature at the request of the Synod. Involvement of Bishops in theological reflection on issues affecting Church and society. Clarification of theological issues affecting the pastoral life of the Church (e.g. the challenge of neo-Pentecostalism sects, etc). At the request of the Syro-Malabar Synod held from 19 to 31 August 2013 the Doctrinal Commission constituted a Theology Forum with 24 members to study the relevant theological issues affecting the life of the Church and submitted the names of its members to the Synod held from 7 to 11 January 2014 and had it approved. The Theology Forum has been designed to assist the Synodal bishops in their deliberations concerning theological matters. 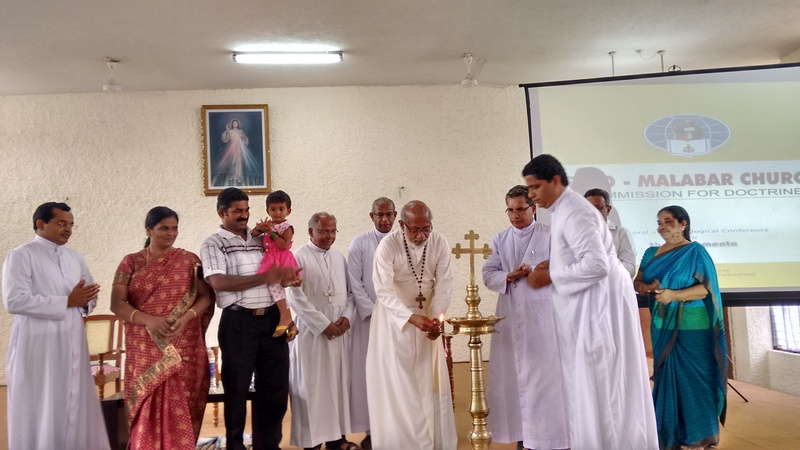 It is meant to function as tributary to the teaching, governing and shepherding ministries of the Syro-Malabar Synod, and to release publications on theological matters. It will help the teaching ministry of the Church towards updation in the theological developments and challenges as well as the live issues of the society and the church. We remember with immense gratitude our Major Archbishop for the circular he issued in the month of February about the Vatican lineamenta on family. The circular, that succinctly highlighted the major themes of the lineamenta published in view of the forthcoming Roman synod, was really a guideline for the dioceses and congregations for the discussions on the same lineamenta. Major Archbishop, in this circular, exhorted all bishops to conduct study forums about the family in different levels of eparchy and to send a report to Mount St. Thomas Curia, Kakkanad before 20 March 2015. 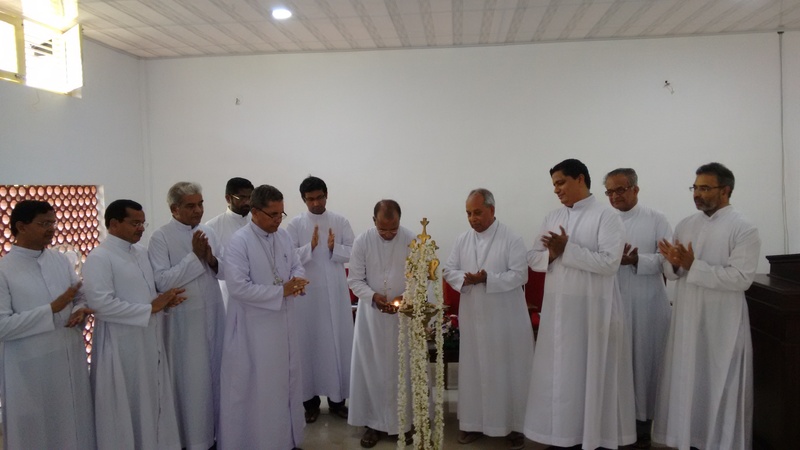 The circular announced a theological conference to be held at Mount St. Thomas Kakkanadu and its responsibility was entrusted to the doctrinal commission of the Church. A pastoral and theological conference on the lineamenta about the family was held at Mount St. Thomas Kakkanad on 24-03- 2015. The topic of the discussion was “the challenge of the family in the Church and contemporary World”. The aim of the conference was to know the feelings and responses of the theologians, faithful and experts towards the challenges of the family. About 140 representatives from different dioceses, men and women religious congregations participated in the meeting. Mar George Cardinal Alencherry inaugurated the meeting. Mar Andrews Thazhath, Archbishop of Trissur, Mar Joseph Kallarangattu, bishop of Palai, Mar Joseph Kunnath, bishop of Adilabad, Mar Raphel Thattil, auxiliary bishop of Trissur were actively participated in the conference.